What a night it was! 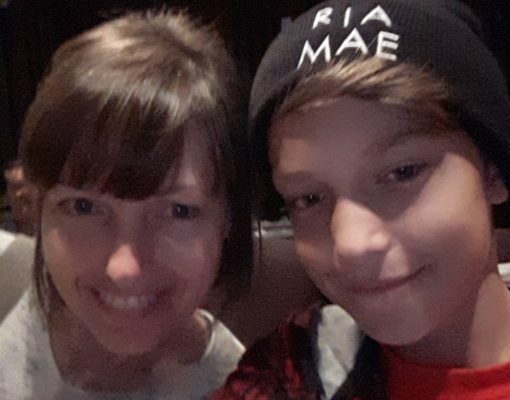 Heidi Jirotka and her twelve year old son, Dante, traveled from Bridgewater to see Ria Mae in concert with Symphony Nova Scotia on October 20th. A few days later, she contacted the Symphony office to describe it in a joyful, impassioned email. Heidi, a photographer based in Bridgewater, has been a Ria Mae fan for some time. She remembers when she first heard her music and being inspired by one song in particular. 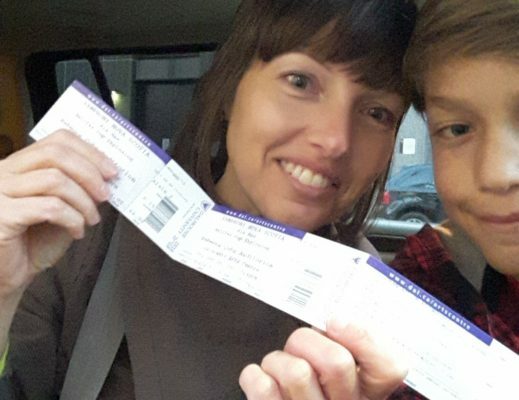 Heidi snapped up tickets for the concert back in the spring when they went on sale. “So here is how it went. Here is our Ria Mae experience with Symphony Nova Scotia and surprise guest Classified… It just keeps getting better and better!!!! “October 20th we left extra early from Bridgewater so we could be sure to get a close parking space. We circled the Rebecca Cohn for at least 45 minutes until we spotted the perfect place on Henry Street, almost outside the Rebecca Cohn doors. We were soooo excited! “I am a photographer but that night I left my camera at home. My son had his iPad. I wanted to enjoy every second and be in the moment. “At the beginning of the concert, we were seated three rows from the back on the floor. All seats are great seats in the Cohn, but we were in for another surprise; at intermission, someone tapped me on the shoulder and asked if we wanted her tickets. We didn’t know until we started walking up the isle with them that they were right up front – in the 4th row!!! “The concert continued, Symphony Nova Scotia added to the magical ambiance. My song – Thoughts on Fire – started… Shortly before the part where Classified usually starts rapping, we heard ‘awh, yah’ and we knew he was about to appear onstage. It was like nothing else seeing my sons face at that moment! We were both so, so happy! After the concert, Heidi and Dante headed to their car and spent a few minutes sitting and talking before heading home. “We jumped out to meet them. It was just the four of us right there on the street!!! We shook his hand. I shook his wife’s hand and I hugged her too, I’m pretty sure… It’s all a blur – an awesome blur. They were both incredibly nice and didn’t rush us. 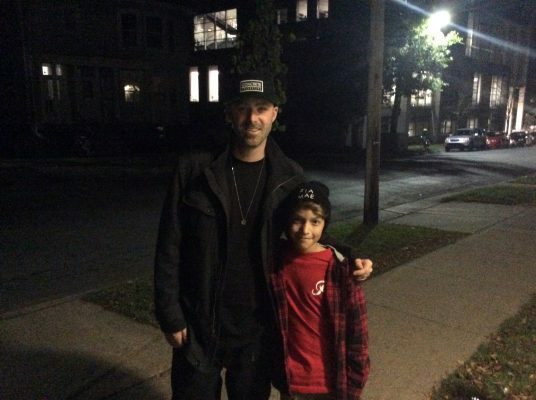 I took a photo for my son on his iPad and we thanked them over and over for stopping and said how much we loved Classified’s music.